Learn how to retrieve and display data in Excel using Web services and VSTO in this article from Advisor.com. Office 2007 Document: Developer Overview of the User Interface for the 2007 Microsoft Office System A developer-oriented review of the user interface for the 2007 release of the Microsoft Office System including a discussion of the impact of the redesigned UI on custom solutions. Access 2003/2002/2000 Sample: Multiple Column Reports database The Multiple Column reports sample database for Microsoft Access contains sample reports that demonstrate creating telephone book style multiple column reports. Access 2003 Sample: Inside Out Sample Files This download contains sample files that accompany articles excerpted from the book Access 2003 Inside Out. Access 2003/2002/2000 Sample: Basing One Combo Box on Another Sample Database This sample database, for the Basing One Combo Box on Another column on Office Online, includes an example form that demonstrates how to limit what appears in one combo box based on the choice you make in another combo box. Access 2003/2002 Sample: Using Parameters with Queries and Reports Sample Database This sample Microsoft Access database provides example forms, queries, and reports that demonstrate using query parameters, as well as using a custom form to supply parameters to a query or report. 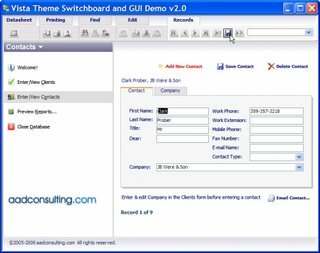 Access 2000 Sample: Database of Sample Forms The Access 2000 Database of Sample Forms provides sample user forms that demonstrate how to perform a wide variety of tasks such as bringing a subtotal from a sub form to a form, and how to disable command bar items. Access 2003 Sample: Using Automation with Access and Outlook This download provides a sample Access file for use with the MSDN article "Using Automation in Microsoft Office Access 2003 to Work with Microsoft Office Outlook 2003." Access 2003/2002/2000 Sample: On time and how much has elapsed Use this sample database file to learn how to calculate elapsed time. Access 2000 Sample: Query Topics The Access 2000 Sample: Query Topics database contains examples of useful database queries, including crosstab, union, and join queries. Access 2000 Sample: Report Topics The Access 2000 Sample: Report Topics database contains sample reports that demonstrate how to perform a variety of reporting tasks. Access 2003 Sample: Animating Microsoft Office Access 2003 Learn different methods of animating Microsoft Office Access 2003. These include using the Animation ActiveX control, the Timer control, and animating the Office assistant. Access 2003 Sample: Performing Mail-Merges Using XML Data Learn how to perform a mail merge programmatically from Microsoft Office Access 2003 using an external XML data file and the Mail Merge feature of Microsoft Office Word 2003. New XML Features in Access 2003 Sample Use these files to learn how to import, export, and transform XML data programmatically into Access. Access 2002 Add-In: Security Manager The Microsoft Access 2002 Security Manager enables the database-security administrator to make knowledgeable security decisions as the database and its workgroup evolve. Access 2000 Add-In: Security Manager The Microsoft Access 2000 Security Manager enables the database-security administrator to make knowledgeable security decisions as the database and its workgroup evolve. Office 2003 Sample: XMLCase Study (Contoso)Learn how to create an XML solution using applications from the Microsoft Office System in the context of a pharmaceutical company. Access 2002 Sample File: Design Databases with Forms and Excel Learn how to use Excel to create prototypes of your Access databases with this sample spreadsheet. Access Workflow Designer Call-Tracking Sample Team Solution This sample is provided in conjunction with the MSDN Library article, "Microsoft® Access Workflow Designer Call-Tracking Sample Team Solution. Microsoft Jet SQL for Access 2000 - Sample 1 These three downloadable samples are provided in conjunction with a series of MSDN Library articles that discuss how to use Microsoft® Jet SQL with data from an Access 2000 database. Microsoft Jet SQL for Access 2000 Sample 2 These three downloadable samples are provided in conjunction with a series of MSDN Library articles that discuss how to use Microsoft® Jet SQL with data from an Access 2000 database. Microsoft Jet SQL for Access 2000 - Sample 3 These three downloadable samples are provided in conjunction with a series of MSDN Library articles that discuss how to use Microsoft® Jet SQL with data from an Access 2000 database. Northwind Traders Direct Sample Application Northwind Traders Direct is a simple e-commerce application that uses data access pages, frames, and cookies. It was created using Microsoft® FrontPage® 2000 and Microsoft Access 2000. Using ADO with the Microsoft Jet Provider Sample Provides a guide to revising code that uses Microsoft Data Access Objects (DAO) into code that uses Microsoft ActiveX Data Objects (ADO), as well as a guide to writing new code using ADO with the Microsoft Jet Provider. Access 2002: Create Dynamic Reports in Access Sample Files Sample files for use with the article Create Dynamic Reports in Access Using Linked Tables. Access 2002 Update: Additional Help Files This downloadable file contains the most current Microsoft Access 2002 Help files and replaces the existing ones. Access 2002 Add-in: Expanded Help File Access 2002 online Help with pre-expanded content for screen readers. Access 2000 and SQL Server 2000 Readiness Update The Access 2000 and SQL Server 2000 Readiness Update improves the way in which Microsoft Access 2000 works with Microsoft SQL Server 2000. Access 7.0 Sample Database Containing 19 Modules of Visual Basic for Applications Code (Neatcode.exe) Neatcode.mdb is a Microsoft Access for Windows 95 version 7.0 sample database that contains 19 sample modules of Visual Basic for Applications code. Topics include complex math, statistics, OLE Automation, data access objects, and more. Access 7.0 Add-in: Replica to Regular Database Wizard (Wzrplrgl.exe) This file contains an add-in for Microsoft Access 95 that enables you to convert the Design Master database from a replica set to its original, nonreplicated state. Access 97 Add-in: Replica to Regular Database Wizard (Wzrprg97.exe) This file contains an add-in for Microsoft Access 97 that enables you to convert the Design Master database from a replica set to its original, nonreplicated state. Access 7.0 White Paper: Porting 16-bit Applications to 32-bit Versions (Accport.exe) The Accport.exe file contains a document which discusses how to port 16-bit Microsoft Office applications (with code written in the Microsoft Excel macro language (XLM), WordBasic, Visual Basic for Applications, or Access Basic) to 32-bit versions for use in Windows 95 and Windows NT. Access 97 Knowledge Base Help Files Knowlege Base (KB) Help file containing all KB articles for Microsoft Access 97 published on or prior to April 18, 1997. Access 97 Document: Conversion White Paper Contains a Microsoft Word document called "Microsoft Access 97 Conversion White Paper." This document contains a discussion on potential issues arising from the conversion of Microsoft Access version 1.x, 2.0, and 7.0 databases to Microsoft Access 97. Access 7.0 Viewable Wizard Code: WzTool70.mda (wztool70.exe) In the retail version of Microsoft Access for Windows 95 version 7.0, you can't view the Visual Basic for Applications code for wizards. This file contains a special version of the wizard that has viewable wizard code for developers to use as a learning tool. Access 97 Treeview Control Wizard (WzTreevw.exe) The WzTreevw.mde file is a Treeview Control Wizard for Microsoft Access 97. When you insert a Treeview Control on your form with this wizard installed, the wizard will guide you through configuring the Treeview Control. Excel 5.0 DLL Files for Developers To Access Excel 5.0c: Xlodbc.xla and Xlodbc.dll (Xlodbc.exe) These files are made available to allow third-party developers quick and easy access to these files in the event that they do not have access to the full version of Microsoft Excel version 5.0c. Excel 2000 Help File: Running Excel 4.0 Macros Download the complete Help file for the Microsoft Excel 4.0 macro functions (XLM macro functions). You can then access this information from the Office Assistant when you use these functions in Microsoft Excel 2000. Import and Link Exchange/Outlook Wizards for Access 97 Use the Import Exchange/Outlook Wizard or the Link Exchange/Outlook Wizard to import or link a Microsoft Exchange or Microsoft Outlook folder or address book to a Microsoft Access table. Partial Replica Wizard for Access 97 With the Partial Replica Wizard, you can create a partial replica without programming. Specify a filter expression for a table, and the wizard sets the Data Access Objects (DAO) properties and uses the DAO methods for you. Access 2000 Tutorial: Northwind Traders Sample Database You can use the Northwind Traders sample database as a tool to help you learn Access 2000. Experiment with the data stored in Northwind, and use the forms, reports, and other database objects as models for your own database. 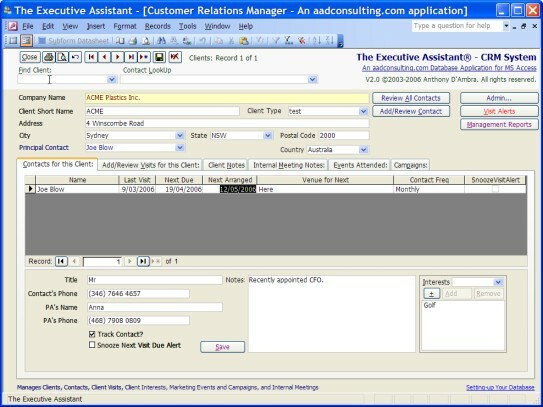 Access 97 Relationship Print Wizard In response to a long-standing request from our developers, Microsoft® Access proudly presents the Print Relationships Wizard. You can use these free SQL Server Reporting 2005 Services report packs as templates to quickly author and distribute new interactive reports. Readme Files for SQL Server 2005 SP1 and SQL Server 2005 SP1 Express Editions and Tools Before you install SQL Server 2005 Service Pack 1 (SP1) or SQL Server 2005 SP1 Express editions and tools, review the readme for information about installing SP1 and to learn about common issues that can impact your installation experience or use of the product. Tracking the delay in Windows Vista, Microsoft confirmed late Thursday that it is also pushing the launch of Office 2007 to next year. Process Explorer, from Sysinternals, is an advanced process management application that tells you what is running under 32/64-bit Windows, how those running processes affect other processes, and their use of system resources. Details: The main screen shows the processes running on your PC in a treeview. Each process is listed with its icon, a process id, current CPU utilization, a description, and the maker. You can search for processes by handle or the DLL a handle has loaded, and find more for information about a process from the Web by right-clicking on it in the tree. MSDN blogger, Eric Rucker, in his What's New In Access 2007 blog, provides an illustrated exposition of the new ribbon navigation paradigm. Hotfix for SQL Server 2000 Service Pack 4 - Build 2187 This just released cumulative hotfix package contains all hotfixes available in SQL Server 2000 Build 2187. For users of the MSDE for Access 2000 or later, this page contains full details of the update as it applies to MSDE 2000. The English language download file is SQL2000.MSDE-KB884525-SP4-x86-LLL.exe (56mb). Microsoft Pre-Release Software Visual Studio Tools For Office "v3" - March Community Technology Preview (CTP) Microsoft has provided a version of the Visual Studio Tools for Office "v3" for the users of the Beta 1 Technical Refresh of Microsoft Office 2007. Veteran Access guru, Roger Jennings, in the first Access book I ever read, Access 2 Developers Handbook, described Access security as "labyrinthine". He wasn't exaggerating. Garry Robinson, of vb123.com, has recently published a book that guides you through the labrynth, Real World Microsoft Access Database Protection and Security, from A!Press. Read all about it on Garry's Access site. A sample chapter of the book was featured on MSDN. The Executive Assistant is used by senior executives at Munich Re Australia, Samsung Fire & Marine, and UBS. The Version 1.0 .mde application is now free! 913420 Error message when you try to repair, reinstall, or add a component to an Office 2003 program and you use a Local Installation Source: "Installation Error: File Not Found"
Community Pack for SQL Server 2005 CTP Download the Community Technology Preview (CTP) of the Community Pack for Microsoft SQL Server 2005, a collection of standalone install packages that provide additional value for SQL Server 2005. Office 2007 features a new default XML file format. This article from DevX.com explains the developer benefits provided bythe new Office Open XML File formats, and includes a sample application that illustrates how the new file formats enable Office document generation. SQL Server 2005 SP1 Express Editions and Tools CTP Download Community Technology Preview (CTP) SQL Server Express or SQL Server Express with Advanced Services. Also download SQL Server Management Studio Express and the SQL Server Express Toolkit. SQL Server 2005 SP1 CTP Download the Community Technology Preview (CTP) of Microsoft SQL Server 2005 Service Pack 1. SQL Server 2005 Books Online SP1 CTP (March 2006) Download an updated version of the documentation and tutorials for Microsoft SQL Server 2005.
resolves that vulnerability when Office 2000 is used with a Multilanguage Pack. previously released security updates for Office 2003 Proofing Tools. improves how Office 2003 finds and corrects errors in Dutch language documents. This update includes previously released security updates for Office 2003 MUI. correct errors in Dutch language documents. errors in Dutch language documents. and corrects errors in Dutch language documents. junk e-mail. This update was released in March 2006.
improves how Project 2003 finds and corrects errors in Dutch language documents. This update includes previously released security updates for Project 2003 MUI. improves how Visio 2003 finds and corrects errors in Dutch language documents. This update includes previously released security updates for Visio 2003 MUI. This subscription portal offers 16 courses and 10 online books. The self-paced e-learning courses will help you become familiar with the basic and advanced features and tools of Microsoft Office 2003 and its component applications via interactive simulations that provide hands-on practice to master specific tasks. They also include skills assessments to help pinpoint the areas where training can have the most impact. In addition, these courses can be downloaded for offline use for the length of your subscription so you can learn even when you’re not connected to the Internet. The online books provide a searchable, just-in-time source of information to give you quick answers to specific problems as you encounter them. Together, these learning resources can help you to be more productive and effective with Microsoft Office 2003. A One Subscription Year costs US$169.99. 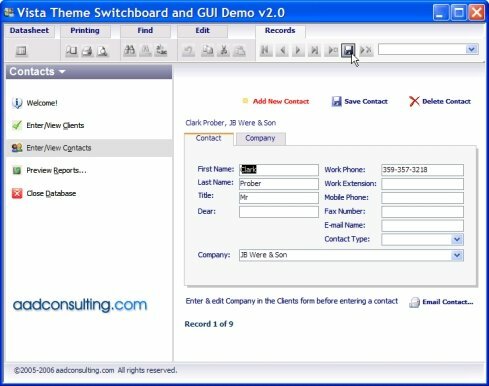 Buy the source code to use the GUI in your own Access applications. Download the demos. I have just released my Custom Form and Report Design Toolbar: a handy Custom Toolbar for Access, giving you faster and less tedious resizing and positioning of form and report controls. Download the .mdb and import the Toolbar into any Access97 or later database. Improve Your Outlook with Visual Studio Tools for Office This article walks you through a sample add-in application for Outlook 2003 as well as showing off some of the things that are possible when creating an Outlook add-in solution using the Visual Studio Tools for Office 2005.
approach for integrating enterprise CRM and other LOB application data into the Microsoft Outlook user interface. Microsoft has launched the Absolute Beginner’s Video Series for learning the basics of creating applications using Visual Basic 2005 Express Edition. The series includes over 10 hours of video-based instruction that walks you through creating your first "Hello World" application to a fully functioning RSS Reader application. Sample projects covered in the videos can be downloaded. Office 2003 SP 2 White Paper Covers the advantages of deploying Microsoft Office 2003 Service Pack 2 by using the local installation source with client updating, OHotfix.exe, and OHotfix.ini.